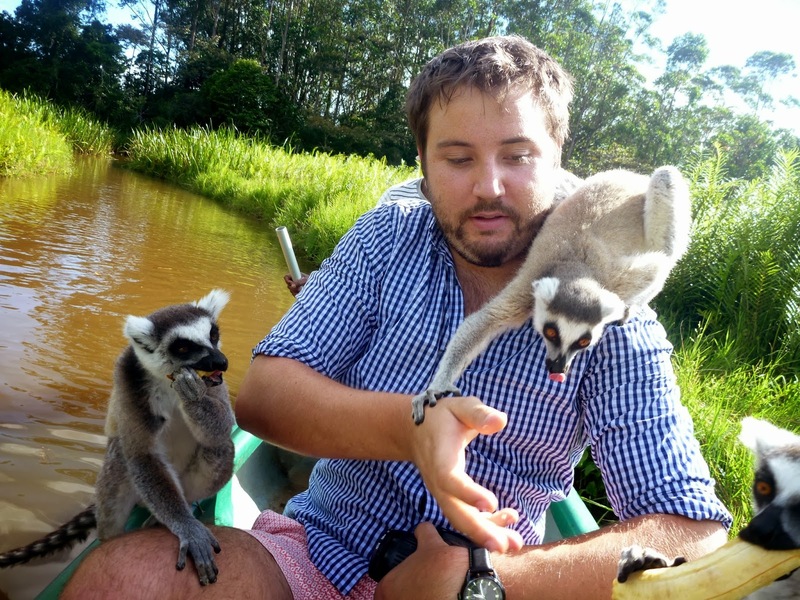 Well here we are folks, the moment we’ve been waiting for…We’re hanging out with lemurs in Andasibe (and we have been told the proper way to say this is “an-DAS-ee-beh”), about a three hour drive + traffic east of Tana. 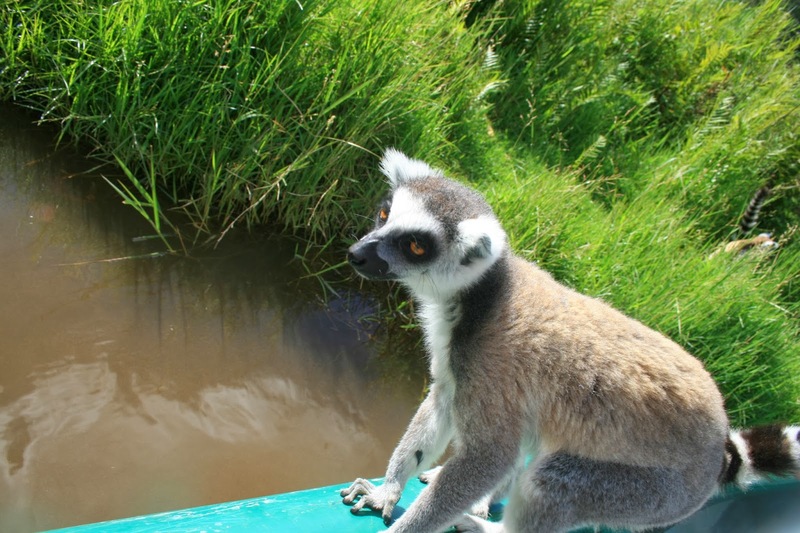 We’re staying at the lovely Vakona Forest Lodge which is great; the lodge encompasses several walking tours as well as the very cool Lemur Island, which is a refuge for many different species of lemur. 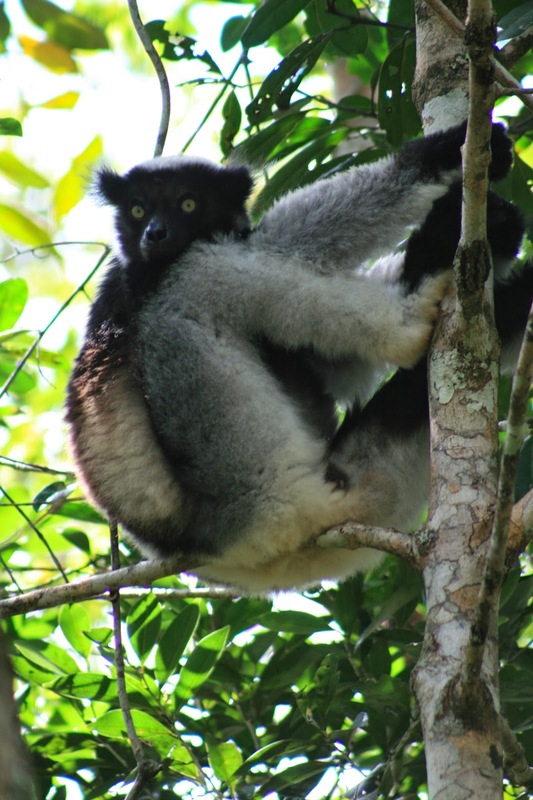 Nearby is Analamazoatra Reserve, the part of Andasibe-Mantadia NP that is home to the indri-indri, Madagascar’s largest lemur. 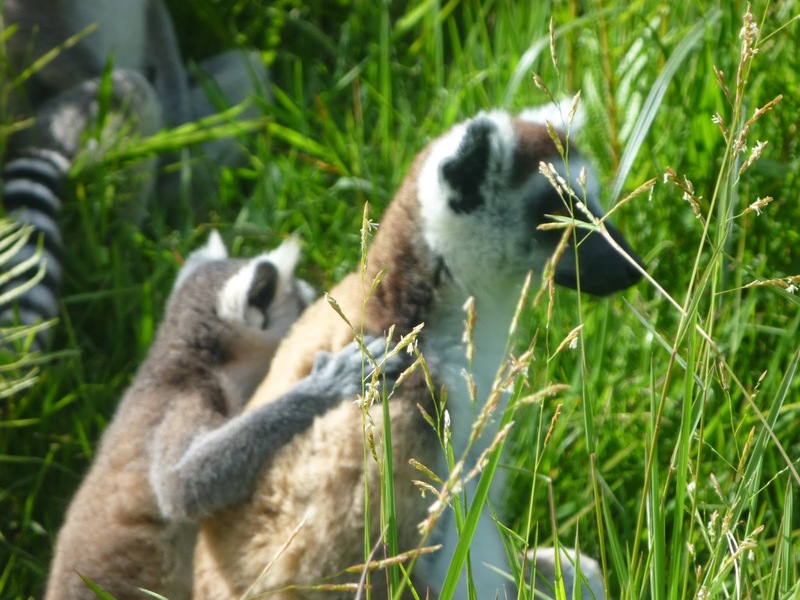 Here you can see lemurs in the wild. 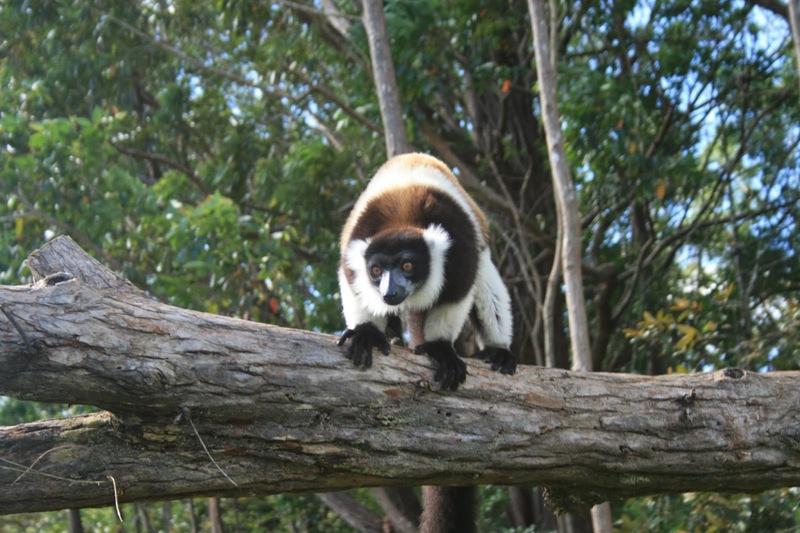 The National Park itself is a haven for lemurs, which have suffered due to land clearing. 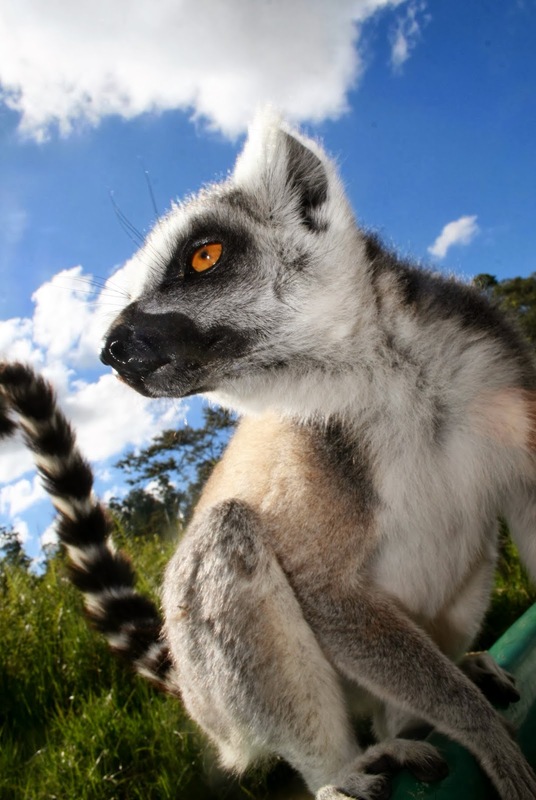 The National Park is now a protected area where the lemurs can hopefully thrive again. There are 10 different species in the Analamazoatra Reserve (four diurnal and six nocturnal) and each species lives in groups/families, but they live in harmony with each other as they have slightly different diets and are active at different times. 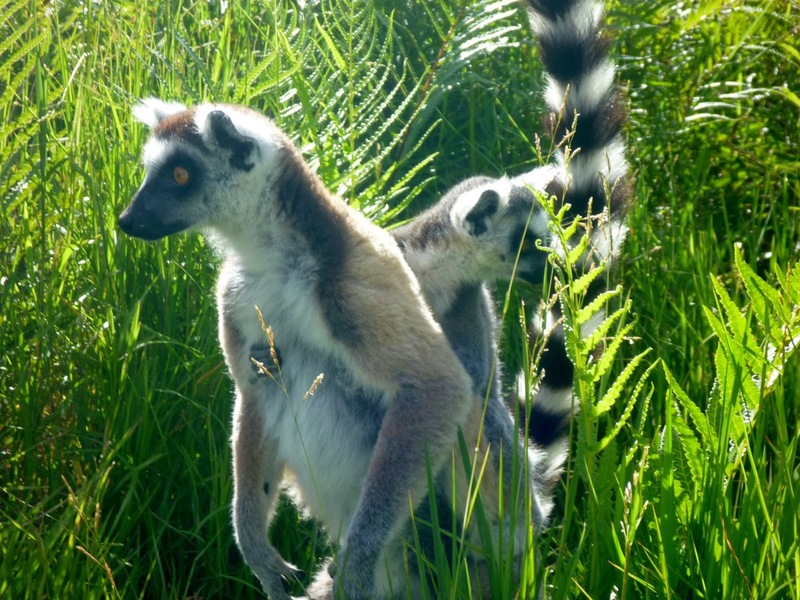 I think the most amazing part for us, both in Analamazoatra Reserve and over on Lemur Island, was hearing the lemurs call to each other. 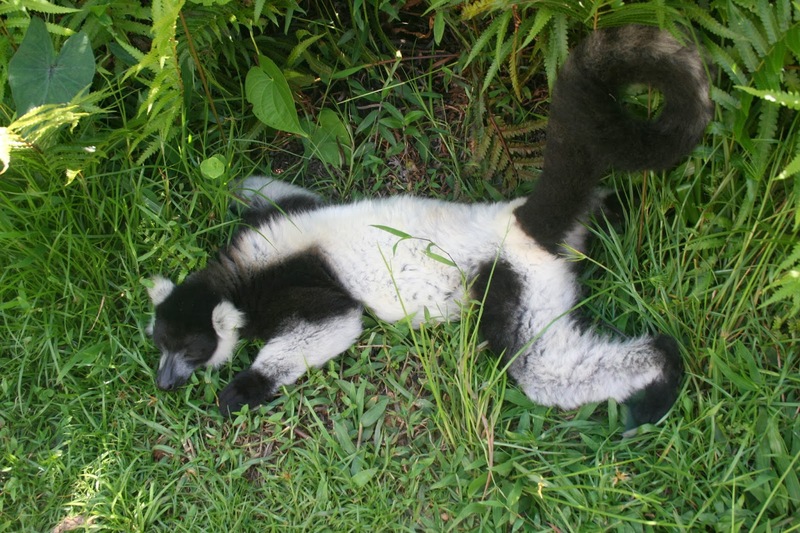 The indri-indri have an incredible call (similar to a Siamang I guess, if you’ve ever heard one) and the ring-tail lemurs have several, easily distinguishable calls for different situations. Their “alarm” call is amazing: high-pitched from air danger, e.g a hawk, and low-pitched for ground danger, such as a snake. 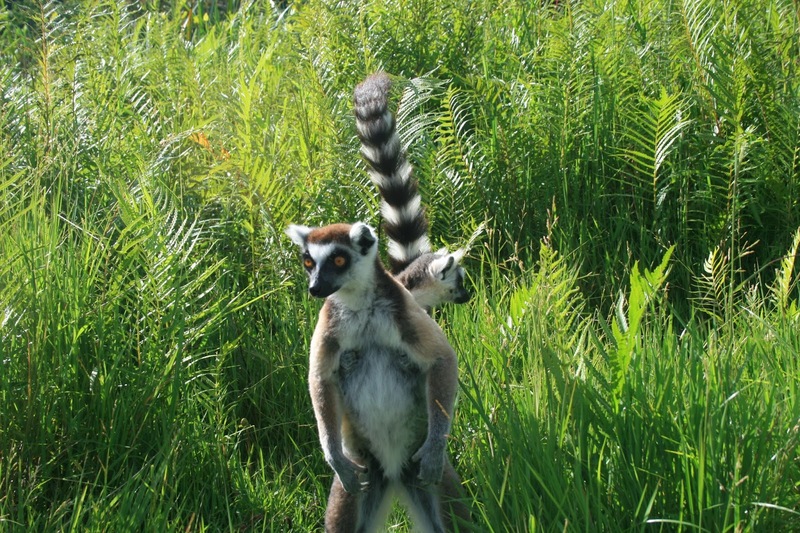 They stand up on their hind legs to make the call and we were blown away by how loud it is for such a small animal! 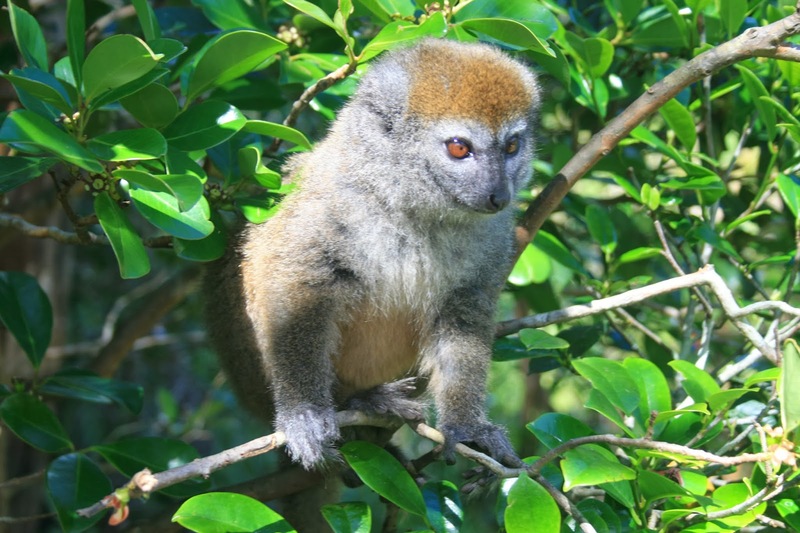 Just a note: All lemurs we saw are are endemic to Andasibe, with the exception of the ring-tail lemurs, which are endemic to the South of Madagasar only. 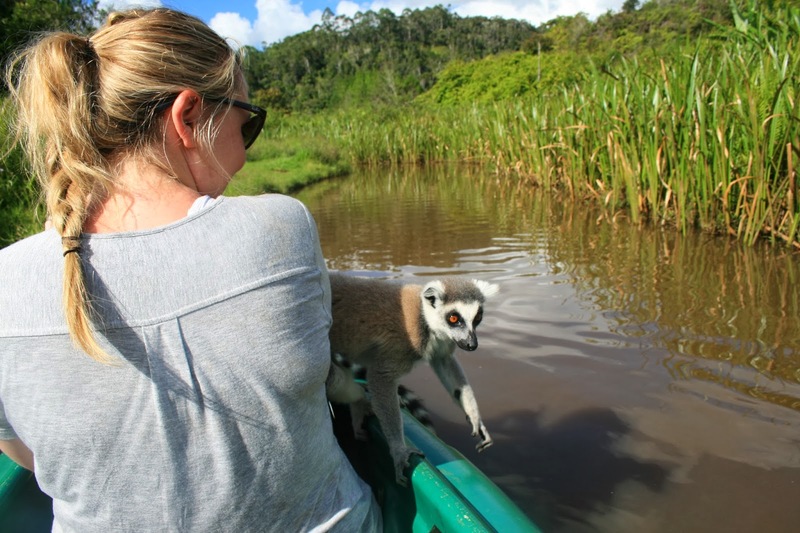 We were luckily enough to see them because there is a large family on Lemur Island, which is home to Lemurs that have been rescued from various fates.